Who doesn’t love chocolate & nuts? 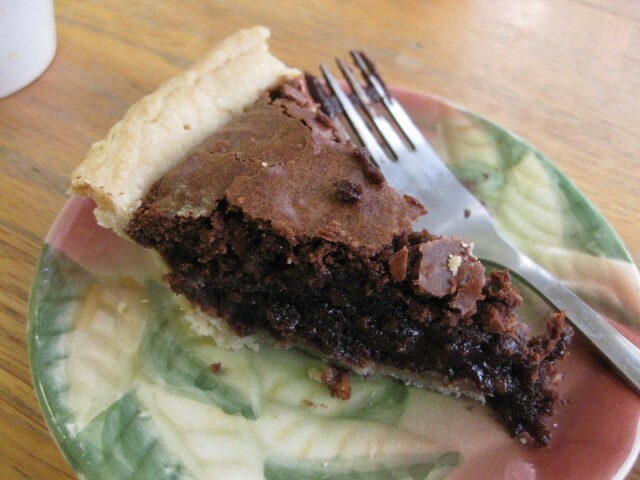 It’s one of my favorite combo’s so I make this pie every year for Thanksgiving for 3 reasons. The name (hello, I am from Tarheel country), it’s beyond easy & it melts in your mouth! I don’t have a big sweet tooth, but this pie takes the cake. Pour warm butter over choc. chips & stir. Blend all remaining ingredients in a separate bowl & stir into choc. chip mixture. Pour into unbaked pie shell & bake at 350 for 30-40 min. This pie is great right out of the oven, or the next day when it’s settled & is at room temp. I almost like it better cold. Your choice!